The Scottish-born Ryrie brothers ventured into the Yarra Valley as they moved their cattle south from Sydney. Taking up a grazing license of 43 000 acres, they named the property Yering, its Aboriginal name. 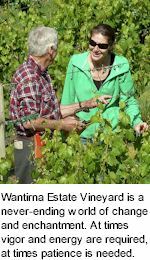 The Ryrie's planted two varieties, the Black Cluster of Hamburg and a white grape variety called Sweetwater. During the early 1850s they returned to Sydney and Paul de Castella took ownership of Yering Station, developing the property from what remained primarily a cattle station into a landmark of winemaking in Victoria. After a lengthy search for the penultimate terroir and microclimate, Dr. Bailey Carrodus chose a site in the Yarra Valley which seemed to meet all the requirements, grey silty clay loam with bands of gravel for good drainage, on a north-facing slope high enough out of the valley to avoid late spring frosts. 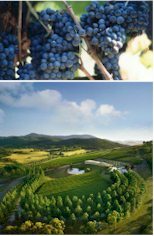 The site has fulfilled all expectations producing a wide range of quality fruit, from Pinot Noir to Touriga Nacional for a fortified red wine. Most of the 12-hectare plot was planted in 1969 and the 1973 vintage was the first commercial wine produced in the valley since 1921. Yarra Ridge was the brainchild of a lawyer, Louis Bialkower, who bought the land in 1982. 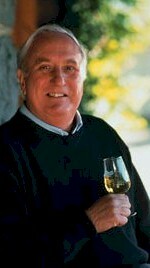 The following year, Louis planted five hectares to Cabernet Sauvignon, Pinot Noir and Chardonnay. 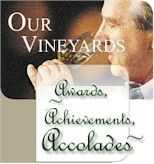 The reputation of Yarra Ridge grew, and from 1989 to 1995 every vintage of Yarra Ridge Chardonnay that was shown at wine competitions claimed a trophy. In the spring that followed they erected makeshift houses to stay in while they planted vines on their days off from running Mayerling Cellars. Initial plantings were 2 acres each of pinot noir, cabernet sauvignon and half an acre of gewrztraminer, which was fairly quickly replanted with merlot when it lost popularity. 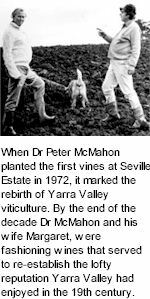 The original name Settlement Vineyards was already registered so they settled on Yarra Burn, as the property is located half way between the two small townships of Yarra Junction and Wesburn. Part time study in viticulture and oenology at Roseworthy and Charles Sturt and help from consultants contributed to Yarra Burn's success. 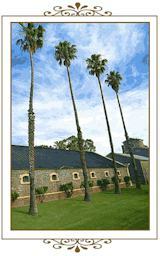 In late 1977 the Fyffes sold their bottleshop to build a house and an estate winery at Yarra Burn. They were encouraged and assisted by their friends at Jean Jacques by the Sea in establishing an onsite restaurant. 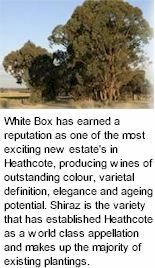 Heathcote has earned a reputation as one of the most exciting wine producing regions in Australia, yielding reds of outstanding colour, varietal definition, elegance and ageing potential. Shiraz is the variety that has established the reputation of the area and makes up the majority of existing plantings. 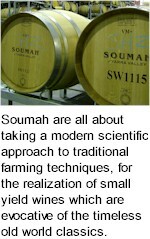 The moderate climate, dry summers and deep, red Cambrian soils of the area have proved ideal conditions for the variety. 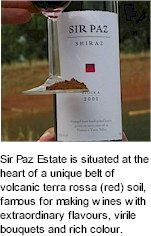 The mild climate and unique terroir produces bold, full-bodied, smooth red wines and is particularly famous for its empathy to shiraz. The Yarra Valley is one of the most renowned wine regions in Australia. 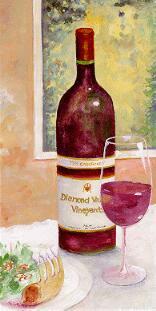 It is the birthplace of Victorian vineyards, where wine has been continuously produced for over a hundred years. Train Trak relates to the railtracks which run through the property over a quaint trestle bridge. 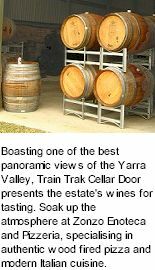 The train line, built in the 1800s was an important link to the Yarra Valley and is still a significant landmark traversing the local vineyards and pasture. 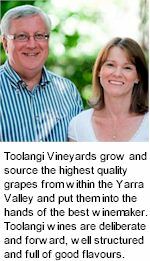 Toolangi Vineyards are firmly committed to making the finest wines possible. 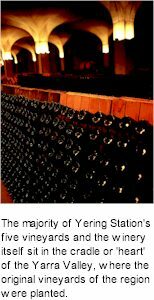 Their winemakers include eminent names like Rick Kinzbrunner, Matt Harrop, Tom Carson, David Bicknell and Willy Lunn at Yering Station. 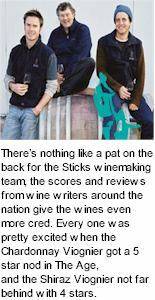 This talented team shares the Toolangi passion for crafting nothing but the most exceptional wines. Toolangi's efforts are principally made from estate grown fruit, supplemented when needed with high quality parcels grown to the Yarra Valley. Toolangi's viticulturalist, whilst maintaining estate owned vineyards, is additionally responsible for the management of vineyards of outsourced fruit, so that consistent quality is assured. The immensely favourable response from enthusiasts is most rewarding to the Toolangi team. 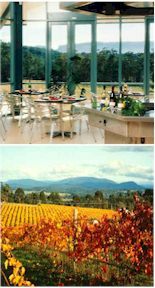 TarraWarra Estate is a 400 hectare property on a prime site at the warm eastern end of the Yarra Valley in southern Victoria. The vineyard is planted on a north facing slope at approximately 100 metres elevation, and comprises 12 hectares of Chardonnay and 17 hectares of Pinot Noir, most of which was planted in 1983. Nillumbik means shallow earth, so named by the original inhabitants to signify a lack of top soils lost to undulating terrains. The western edges of Yarra Valley are covered by a harsh and hilly topography which can challenge winemakers as the unaccomodating soils and aspects produce grapes of concentration and intensity. Established in 1995, Evelyn County Estate's cellar door/restaurant/gallery facility is simply stunning. Awarded the Australian Institute of Architects "Best New Commercial 2002", the building overlooks superb rural vistas, waterways and the exquisite 18 acre estate vineyard. 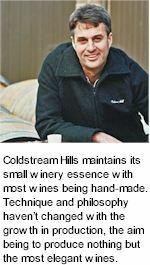 Coldstream Hills was established in 1985 by James and Suzanne Halliday. As a winemaker for over 30 years, James Halliday expressed his passion through involvements with other winemakers, devoting his time to crafting some of Australia's most memorable labels. From its initial vintage of 450 cases, Coldstream Hills has grown to become one of Australia's leading small wineries, its wines sold in some 16 countries and a reputation out of all proportion to its size. Coldstream Hills maintains its small winery essence with most of the wine literally being hand made. Situated in the cool and beautiful Yarra Valley, about one hour's drive east of Melbourne, its steep, close-planted vineyards have become a signature of the region. 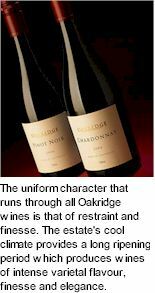 So too have its wines (most notably Chardonnays and Pinot Noirs) which reflect a climate cooler than Bordeaux and a little warmer than Burgundy. Here, on the rich soils of Maiden Gully, the well-known and highly regarded winemaker Stuart Anderson established the vineyards and winery in 1969. In 1999 Balgownie Estate was purchased by the Forrester family, passionate wine lovers with a determination to build on the Estate's illustrious history. Today, the Bendigo vineyard has expanded to thirty hectares with plantings of cabernet sauvignon, shiraz, pinot noir, and chardonnay as well as smaller quantities of merlot cabernet franc, sangiovese and viognier.